Taking advantage of a fortuitous alignment of two galaxies, astronomers using NASA’s Hubble Space Telescope and the European Southern Observatory’s Very Large Telescope have carried out the most precise test yet of Einstein’s theory of general relativity beyond the Milky Way. And once again, theory has provided an accurate description of gravity at galactic scales. Using the MUSE instrument on the VLT, Thomas Collett of the University of Portsmouth led a team that measured the movement of stars within a galaxy known as ESO 325-G004 and knowing the velocities, they were able to compute the galaxy’s mass. As it turns out, ESO 325-G004, at 450 million light years, is one of the closest known gravitational lenses. The galaxy’s enormous gravity distorts light from an even more remote galaxy directly behind, bending the radiation into a circle of light – an Einstein ring – that surrounds the foreground galaxy. Only a few hundred strong gravitational lenses are known and most are too far away to measure their mass. 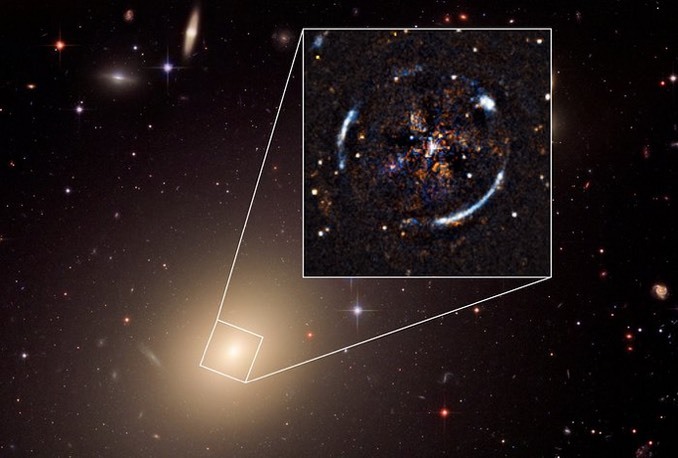 But in this case, Collett’s team was able to calculate the mass of ESO 325-G004 as well as measure the distortion of spacetime near the galaxy by studying the Einstein ring in detail. 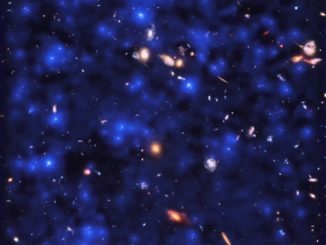 “We know the mass of the foreground galaxy from MUSE and we measured the amount of gravitational lensing we see from Hubble,” Collett said in a release. “We then compared these two ways to measure the strength of gravity, and the result was just what general relativity predicts, with an uncertainty of only nine percent. General relativity has been tested with extreme precision on the scale of the solar system, and astronomers currently are studying the motions of stars orbiting a supermassive black hole at the core of the Milky Way in yet another test. 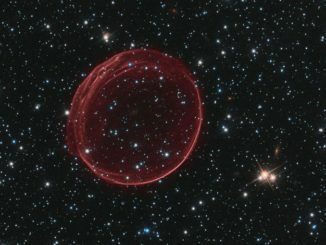 But the observations of ESO 325-G004 represent the first precise test at even larger astronomical scales. The study may have implications for alternative theories of gravity that predict its effects on the curvature of spacetime are “scale dependent,” that is, gravity would have different effects across difference distances. Collett’s team concludes this is unlikely unless it occurs at scales larger than 6,000 light years. 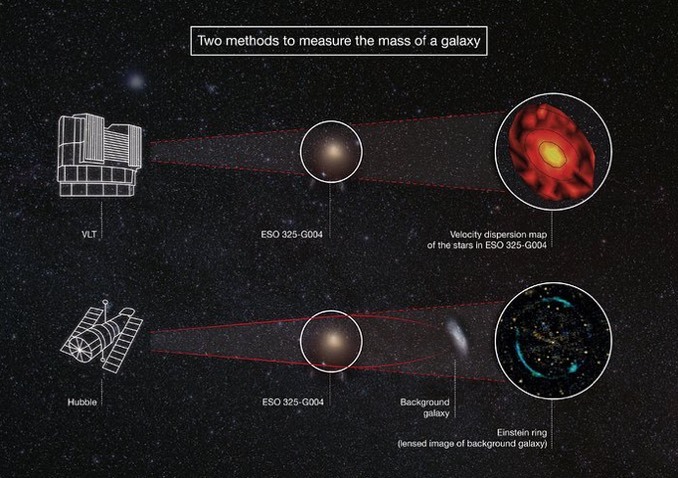 An international team of astronomers used European Southern Observatory telescopes to complement other earth- and space-based instruments as part of the XXL survey of galaxy clusters. 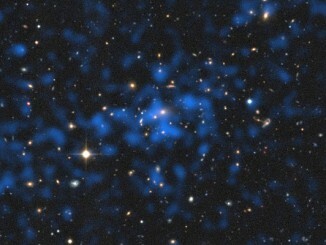 The ESO team measured the precise distances to the galaxy clusters, providing the 3-D view of the cosmos required to perform accurate measurements of dark matter and dark energy.